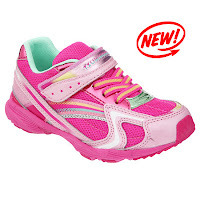 Finding the right shoes for kids can be rough. Things are too tight, too loose, too big, too small, it feels weird or they just agree with what you say then when you get home it turns out the shoes don't fit at all. But that's normal when it comes to kids and shoes. For them its harder to know if a shoe fits right so us as parents have to start out by giving them good choices when it comes to the brands we have them select from. Plus they need to look cool not only to me but to my kid. 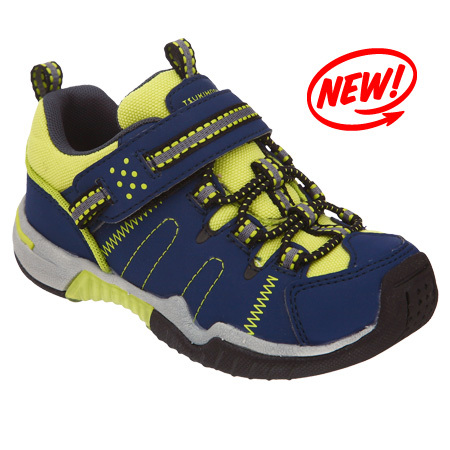 My son at 3 is staring to get an opinion on what he wants in the way of shoe and clothing color, I think its so cute! I have done a lot of research on kids shoes for fit, durability, light weight and colors available. One shoe company that is at the top of my list is Tsukihoshi. light weight, easy on and off, and two great features that I LOVE an anti bacterial removable insoles and the best of all they are MACHINE WASHABLE!!! How awesome is that!! I really do love these shoes and so does my son. He picked out the orange ones, he loves orange. Even my husband who is picky about style loves them. I was impressed by that! They are so easy to put on my son can do it himself. It has a Velcro top and fake laces. So they look cool and not like a typical no lace shoe. My son was running so fast all over the mall yelling "Super Cool" and showing people his shoes I had to put him back into his stroller! He has a several other pairs of shoes but since he got these he insists on wearing his orange shoes. I love how great they fit his feet! They are a true to size fit and sizes range from Baby to Toddler to Youth. I even saw that many celebrities kids are wearing Tsukihoshi too. 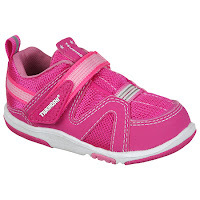 Tori Spelling, Sarah Jessica Parker, Sandra Bullock, Adam Sandler, Julie Roberts, Jack Black, John Stewart and so many more celeb parents buy these shoes for their kids. 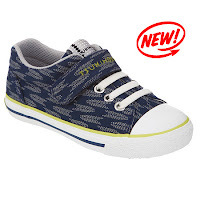 They come in several styles for boys and girls including a mary jane one that is so cute. You can find Tsukihoshi (when you say it the T is silent) at Nordstrom, online and other high end kids shoes retailers. A great investment in the foot health of your little ones! You can learn more about Tsukihoshi on their facebook and twitter pages. For our Valentine's Day event we are hosting a giveaway for one pair of shoes from Tsukihoshi for the little Valentine in your life. Winner's Choice of style. *Limited to US residents 18 years old and above. Giveaway starts Feb 6, 2013 and ends on Feb 15, 2013 at 12:01 am EST. Winner will be emailed and has 72 hours to respond before another winner is selected. I was not paid for this giveaway or post. The opinions on this item are 100% mine and may vary from others. The sponsor is responsible for providing the prize. I was sent a product to review for this post. I might choose the Child 40 Denali! 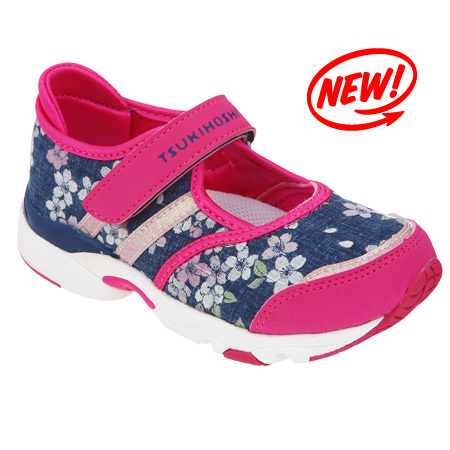 I would pick the Child 17 Sakura shoes in the red/pink color; so cute for spring! I like the Youth Speed sneakers. I would choose the child 41 fuji style. I love the Tornado in Fuschia! I would have to choose the MARINA since that is my daughter's name. I like the blue child 51 they're cute! I want the NEKO for Henry!